The sword of the Elvenking was one of two twin swords crafted for Thranduil by the finest smiths of the Woodland Realm. The blade and flowing hilt are forged with engraved vine and leaf symbols representing the forests of the Greenwood, all forged from a single piece of silver Elven steel. 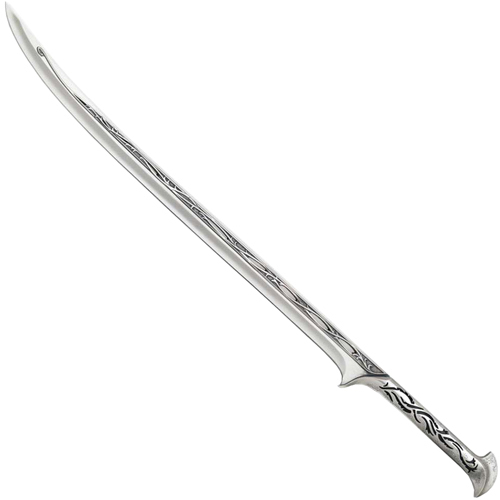 This replica features a stainless steel blade and cast metal hilt with authentic detailing to precisely match the movie prop. It is presented with a wood wall display featuring graphic motif of Thranduil.